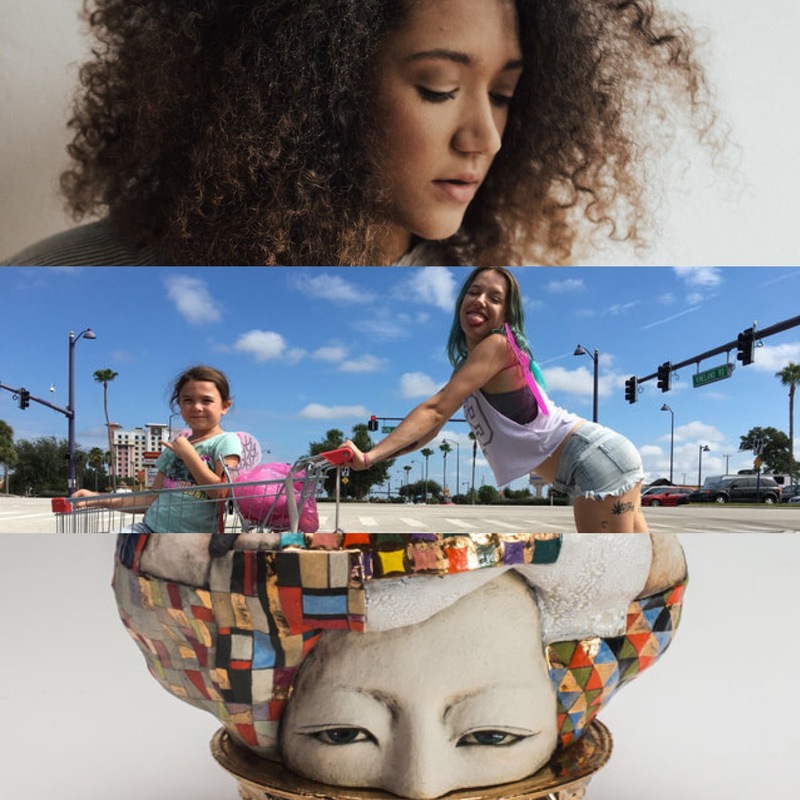 This week I interviewed fellow Swattie Kimaya Diggs for Hooligan, saw The Florida Project for BUST, and reviewed Ahrong Kim's recent show at the Clay Studio for Artillery, which is in print as well. "Interview with Musician, Artist, and Polymath Kimaya Diggs." Hooligan Magazine, November 6, 2017. "Q: Can you take me through the process of creating a song? Do you write music first, or lyrics? What subjects inspire you? "A: I’m not super versatile on guitar, so I tend to mess around with some chords and then start mumbling a melody on top. And then when my voice wants to go somewhere my guitar won’t go easily, I stop and struggle out the chord I want note by note. Lyrics usually come next, but finding the topic feels really passive to me. I just sing the melody until suddenly a word or two falls out; I try to let the melody direct that moment. I write poetry and prose a lot, so it’s always a little strange struggling so much with chord structure and then being able to write ten verses, but I try to live by a “quantity over quality” rule, because in the process of paring down ten verses into two or three, the quantity usually distills down to quality(ish). Lately I’ve been thinking a lot about family dynamics, and also working through my most depressive period in years, so those subjects come up a lot in my writing." "'The Florida Project' Is A Beautiful, Rough Portrait Of Childhood." BUST Magazine, November 7, 2017. "The Florida Project shows us the swampy, brightly-colored, half-decayed Florida landscape briefly glimpsed in The Big Short, and centers on the very people who are struggling the most financially as a result of the greed of others and the desire to achieve the vaunted American Dream." "Ahrong Kim." Artillery Magazine, November 7, 2017. "Dive In (2016) introduces another of Kim’s repeating visuals—the headless cartoonish female figure—as its stubby legs and tiny feet emerge from a lumpy, balloon-esque mass precariously balanced on yet another half-face. The golden-colored platter that serves as the base of Dive In combines with the listless half-face to make it look dismembered, as if she is serving us half of a head on a platter—a trippy, fantastical Salome."